With more than 1,000 dog deaths linked to jerky treats from China, it's not surprising that American consumers are worried about the safety of not just jerky treats but other pet food and, for that matter, human food. Officials from the U.S. Agriculture Department's Food Safety and Inspection Service (FSIS) and the Food and Drug Administration's Center for Veterinary Medicine (CVM) appeared before a Congressional hearing yesterday and offered scant comfort. "It's a huge dilemma," said Daniel Engeljohn of FSIS when pressed by Rep. Christopher Smith (R-N.J.) about the difficulty of inspecting food processing operations in a dictatorship such as China. "The word of the Chinese government is usually not trustworthy," Smith said. "There's always laced in there a whole deal of misinformation, lying and deceit. It's not a stretch to say if we rely on them for documentation, that's an Achilles heel that is huge." The best advice Tracey Forfa of CVM could offer pet owners was to stop feeding their pets jerky treats. Dogs get all the nutrition they need from modern dog food and don't need the treats, Forfa said. Nevertheless, Forfa said that "getting to the bottom of this problem is definitely a priority for the FDA," which she said is conducting "an ongoing global investigation that is complex, very complex." The agency has investigated thousands of reports of illness involving jerky treats, she said, 60% of them gastointestinal in nature with others involving convulsions, tremors and hives. 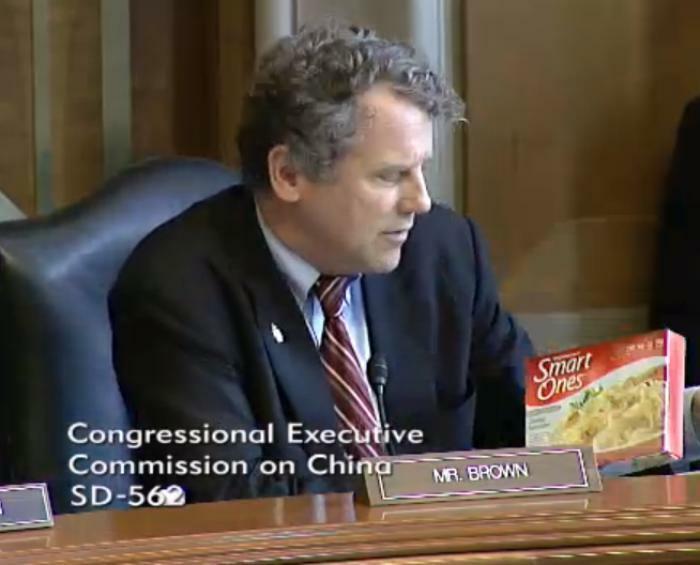 Both Brown and Forfa explained in detail the procedure under which Chinese officials certify that their food processing operations meet U.S. standards but Smith and the committee chair, Sen. Sherrod Brown (D-Ohio), were not persuaded. "Sixty-two million households in this country have a pet. They are raising 83 million dogs and 96 million cats just like members of their family," Brown said. "That’s why it’s so troubling that seven years on, we still do not know what’s causing the deaths and illnesses of thousands of dogs." Brown said it has been 7 years since the first reports that dogs were being sickened by jerky treats from China, still with no definitive word on the cause of the illnesses. Recent decisions to allow more food imports from China only add to the concern, Brown said. "Last year, the USDA declared that China is eligible to export processed, cooked chicken to the United States, paving the way for chicken sourced in the U.S. to be shipped to China for processing and then sold back to American consumers," Brown noted. "Can we trust our Chinese counterparts to enforce safety up to our own standards, given China’s poor enforcement of their own laws and rampant corruption? Will the label clearly indicate that the chicken was processed in China, so Americans can make an informed choice?" At one point, Brown held up various packages of pet and human food, some bearing labels that said "Made in USA" and others giving no hint of their origin. 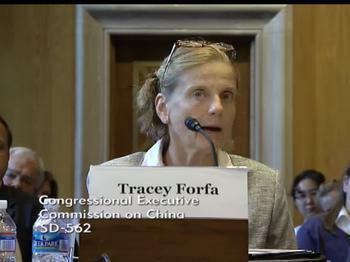 The USDA's Engeljean explained the complicated regulations that govern labeling but the committee members were skeptical and asked Forfa if chicken from China could end up being served in school lunch programs in the United States. "I'll have to get back to you on that," she replied. What's really in that dog food?